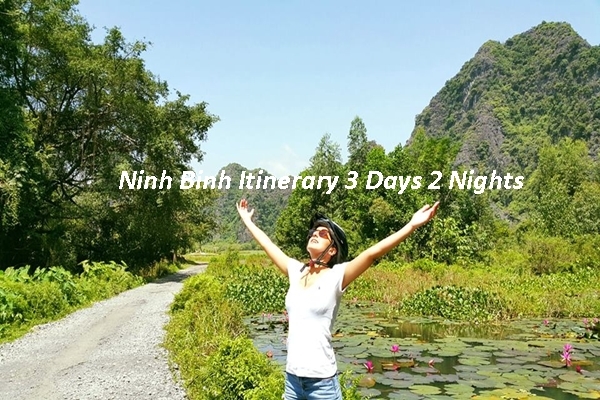 The first and most important thing is wonderful landscapes of Ninh Binh land have played an important role on the development of Viet Nam tourist industry to the world today. Not only do the marvelous sceneries make you dote on it, it also elicits a precious land with ancient historical relics of ancient Vietnam which is the second thing you should know. 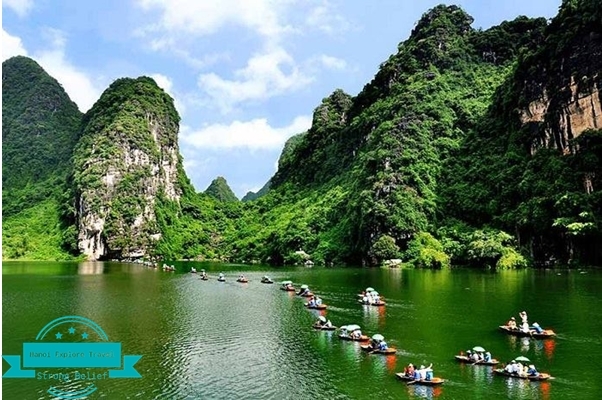 Bai Dinh Padoda includes both of majestic sceneries and spirit values. 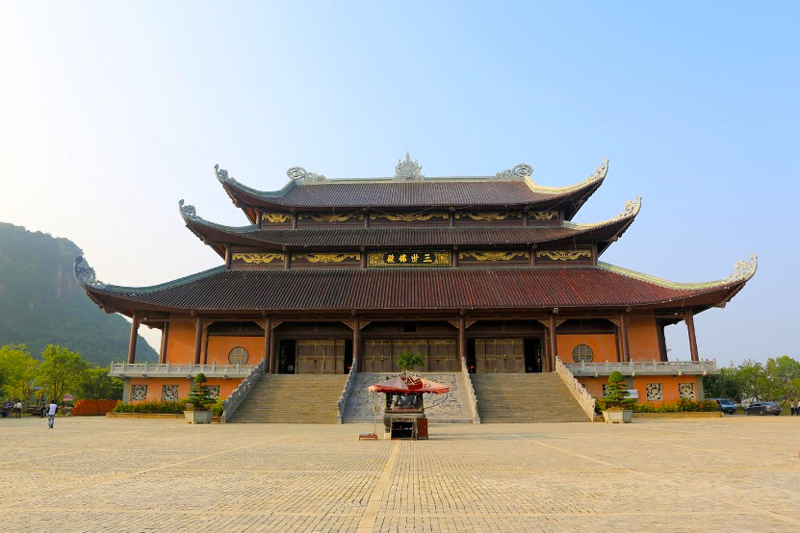 This is the largest spiritual pagoda in Viet Nam and one of the must-see places in Ninh Binh. 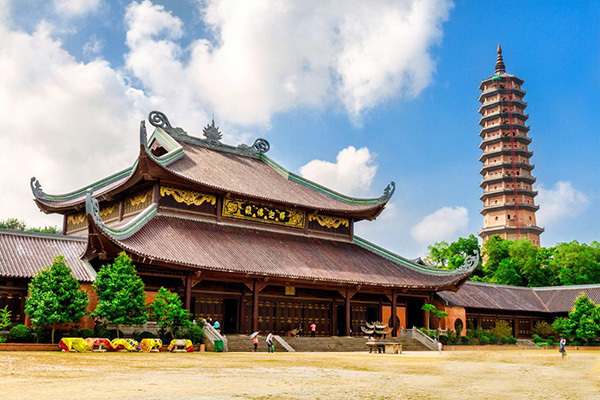 I’m going to introduce you about some records that make Bai Dinh pagoda become a famous pagoda in Viet Nam as well as in Asia. These are also highlights in Bai Dinh pagoda if you visit it. 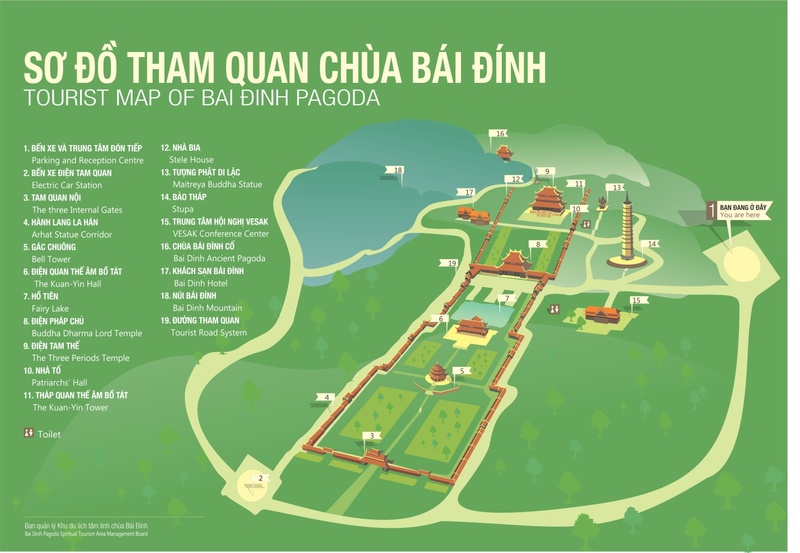 What are the reasons make you decide to visit Bai Dinh Pagoda? 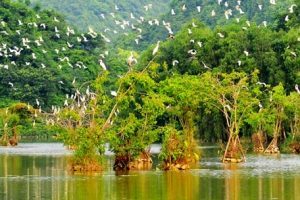 Here are something special that attract tourists coming to Bai Dinh pagoda, they are also elements which make records for the pagoda. 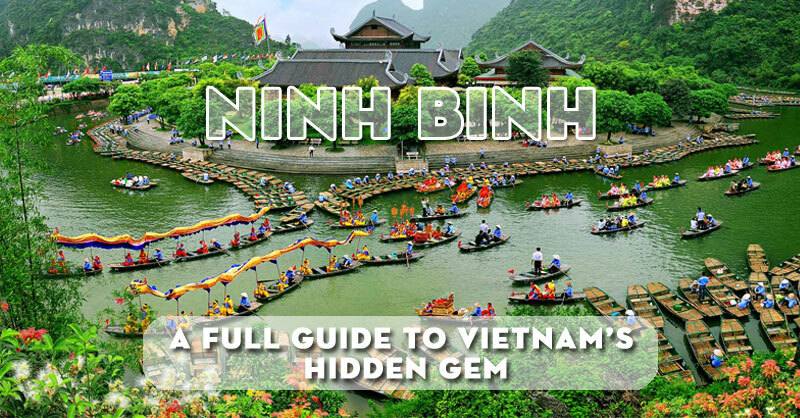 Note: Bai Dinh pagoda is located in Ninh Binh province, 100 km away from Ha Noi capital in the north of Viet Nam. 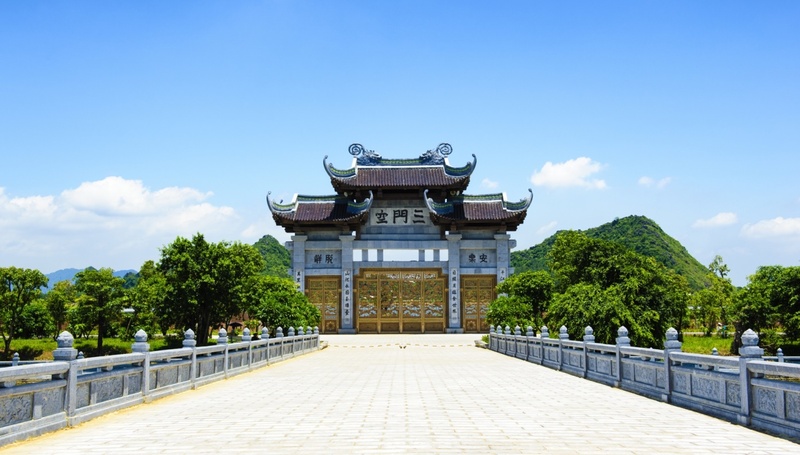 Compared with a pleasing architectural ensemble of Bai Dinh pagoda, Tam Quan gate is imposing, majestic, and harmonious on the position. Each time when people step out the gate their feeling become very calm and untroubled. The bell-tower shaped in an octagon with immeasurably high 3 floors. Diameter of the bottom is 49 meter and total the height of bell-tower is 22 meters. It carved a lotus shaped lamp support. Eight sides of bell-tower are opened spaciously including a stair leading to the peak of the tower. On the top of the tower, you have a lookout of the earth and sky. This is an unusual excellence of an architectural building made of most of precious wood with a system of traditional Vietnamese architectures. At the middle of the temple stand a statue of Bodhisattva. This statute is the biggest one in Vietnam. 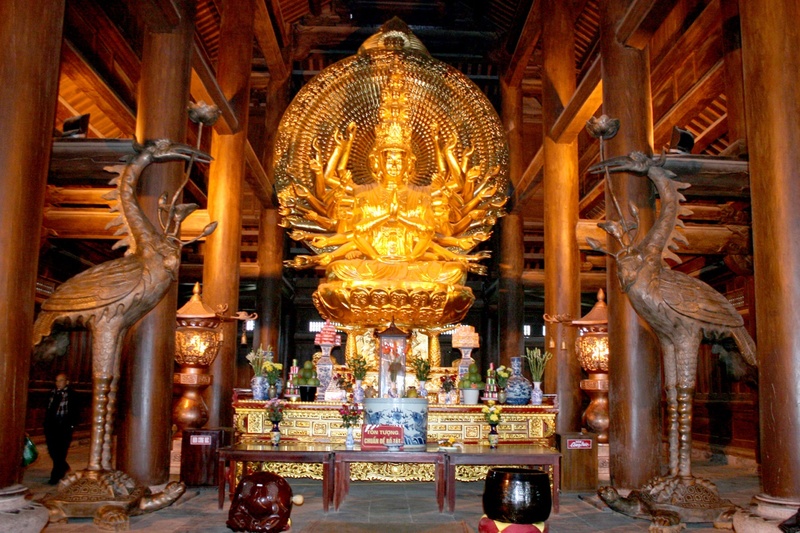 Behind the temple of Bodhisattva, it’s temple of Buddha bringing an outstanding architecture. 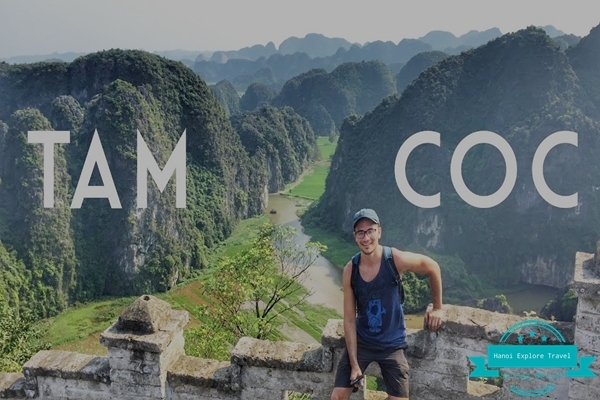 After climbing up more than 200 stone steps you will reach at Dien Tam The.The building is the tallest, largest, and grandest in BaiDinh pagoda. There hasn’t been any type of architecture as magnificent as this one in Viet Nam. If you have time and transport would recommend it, but it’s not to everyone’s taste, so don’t feel you have to change your travel plans. Visiting Bai Dinh pagoda you are no need to pay entrance fee, but It costs 80.000 VND for 2 ways if you hire a electric car to go for a sighseeing and visit tower. 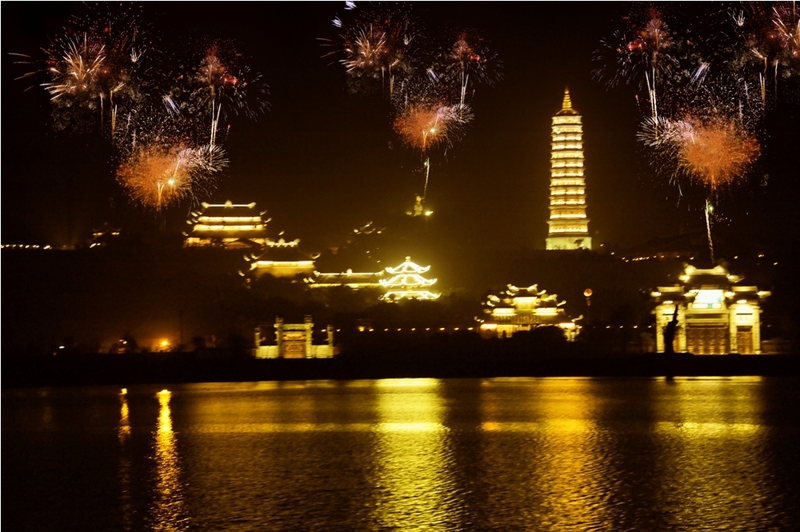 Bai Dinh Pagoda is opened from 6:00 am everyday and usually closed at 9:00 pm. 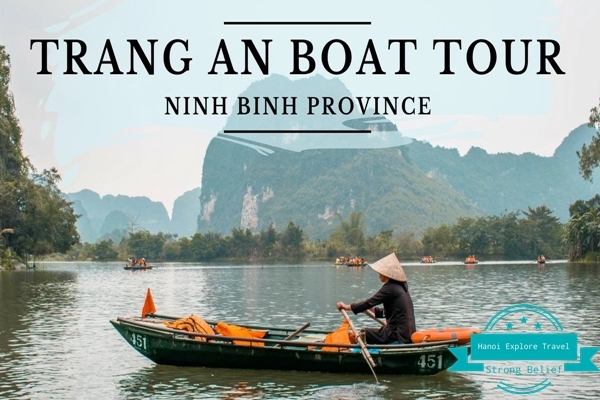 Come to visit Bai Dinh pagoda in Ninh Binh, never forgot to visit Trang An grottos, a wonderful landscape with discovering temples, grottos and taking boat tour. 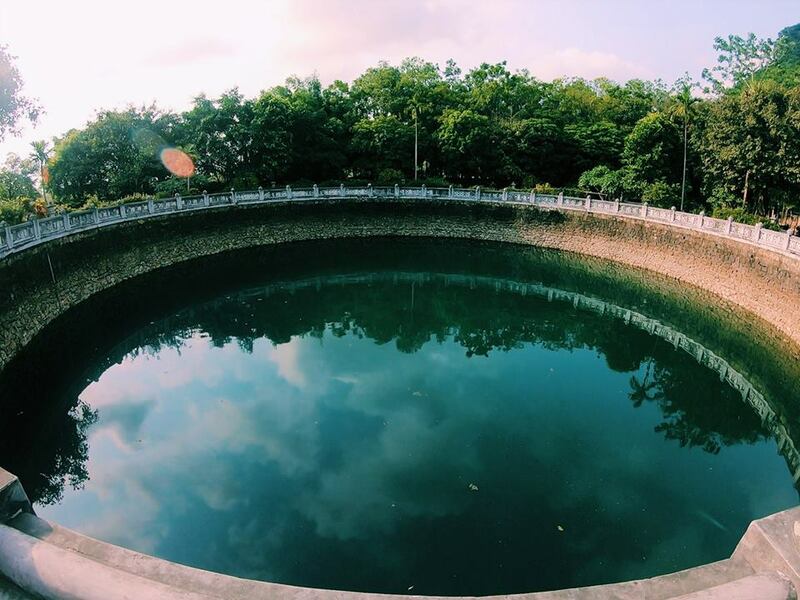 To be guided in Bai Dinh pagoda, book 1 day in Trang An Bai Dinh Tour with us, you are easy to learn more about an mysterious land in Ninh Binh. 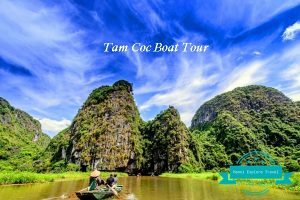 Bai Dinh Trang An Mua Cave Tour is one of the most satisfying day tours in Ninh Binh with a combination of visiting picturesque Trang An grottoes, exploring the Bai Dinh – A Bigest Pagoda in Vietnam and the spectacular Mua Cave. Morning Time 8.00am in the morning, get a car for the departure to Ninh Binh. 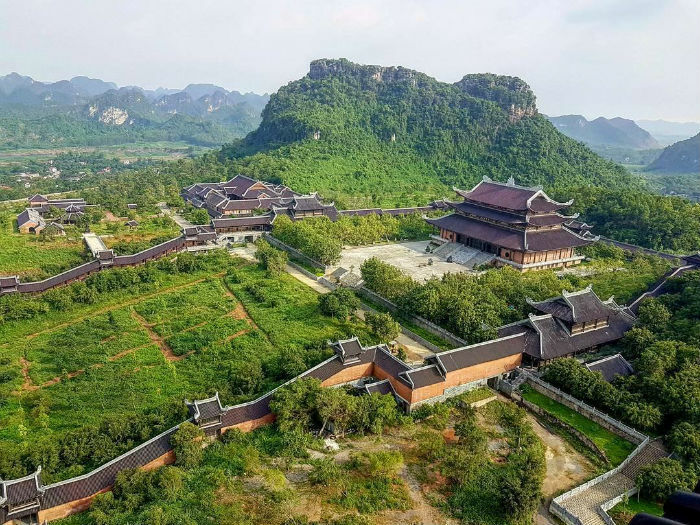 You will reach Bai Dinh Pagoda which is the first destination at around 10:20 a.m. Then you start to explore all the place, go through each tourist attractions in Bai Dinh Pagoda. It’s better to have a tour guide to go with you as he or she will explain the meaning of each place you go through. 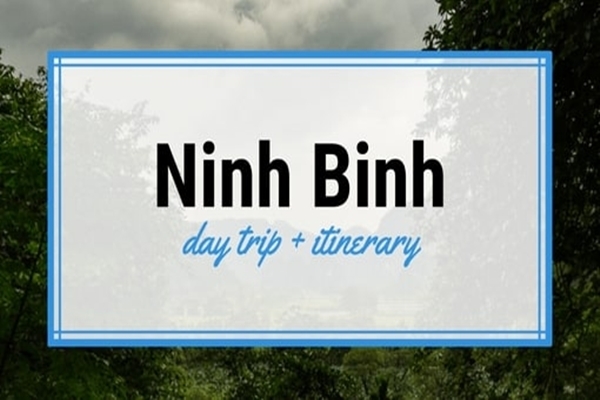 Noon Time After touring around Bai Dinh Pagoda, it’s time to have some lunch with Ninh Binh local dishes. 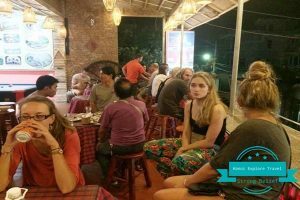 You can choose a local restaurant to enjoy your meal. 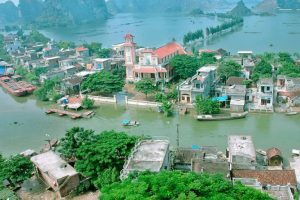 Afternoon Time The rest of the day will be spent in Trang An Tourism Complex which is 15 minutes from Bai Dinh Pagoda. 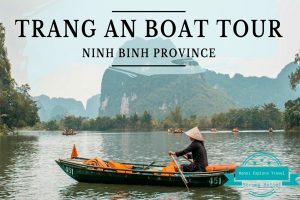 Take a boat trip to explore and discover the nature and wild beauty of this area. This will be the highlight of your trip. At 4:30 p.m, get the car and go back to Hanoi Old Quarter Center. 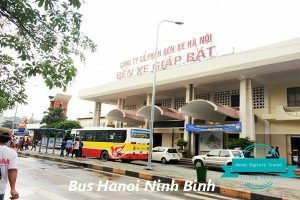 Morning 08.00am: Get a tourist bus starts from your hotel in Hanoi Old Quarter Centel for departure to Bai Dinh pagoda. 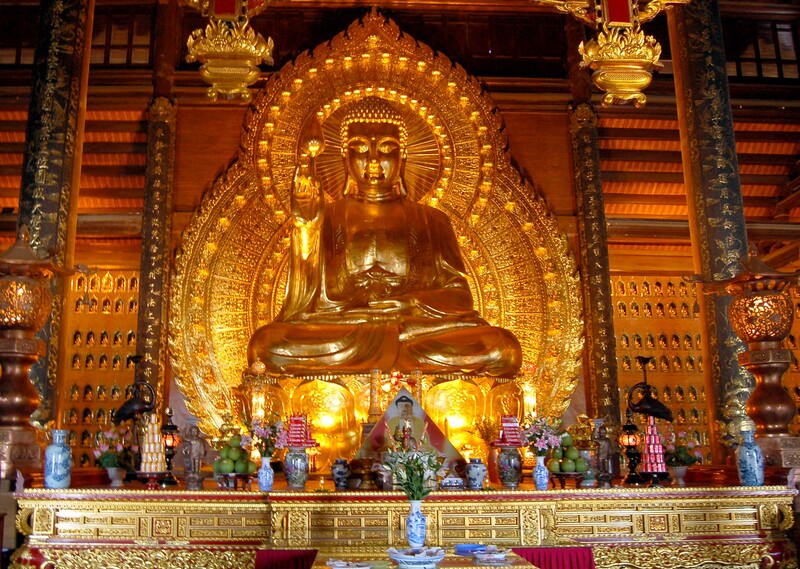 10.30am: Arrive Bai Dinh Pagoda and Let's Start explore this beautiful Buddhist place of worship, with 500 La Han statues and the largest bronze Buddha statue in Vietnam, 10 meters tall. 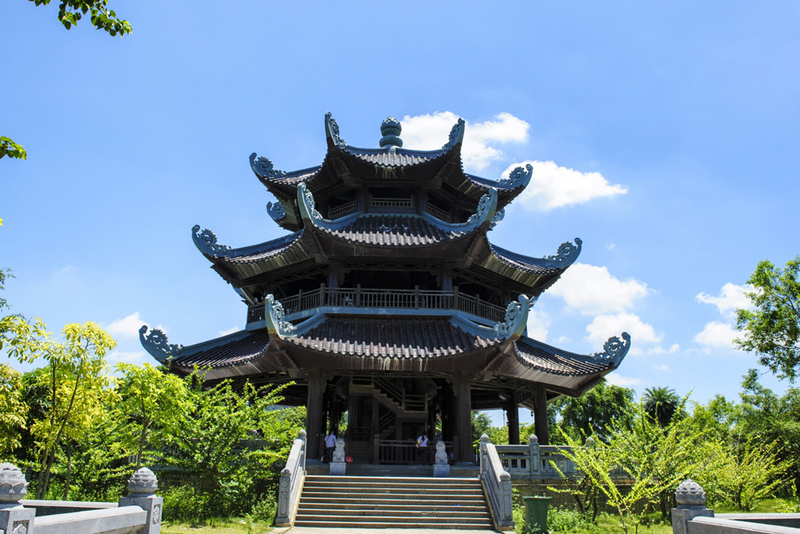 Enjoy some free time with your guide to visit the pagoda and learn more about Buddhism. Noon After Finish your trip at Pagoda. Enjoy a buffet lunch of Vietnamese cuisine after you've seen the pagoda. Then hop back on the bus and continue to Trang An wharf. From here, take a boat trip to visit Trang An cave complex, made famous by scenes from the film King Kong. 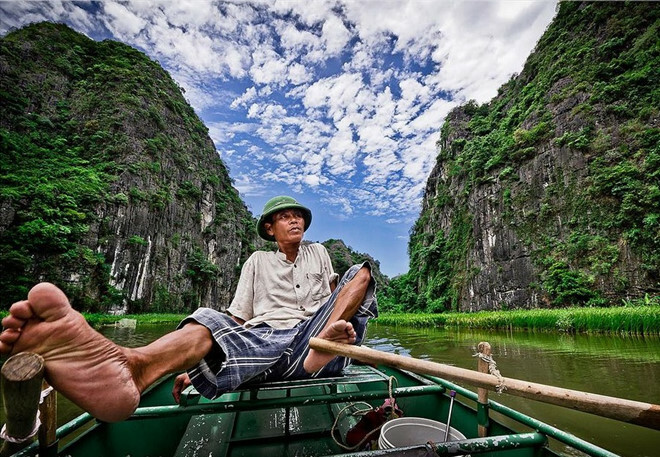 After the boat trip, you'll take a bike to visit traditional villages around the Trang An area.